Dog Services in Wausau, WI. All pets regardless of age must have record of current vaccines from a veterinarian at check-in. Distemper(FVRCP), Rabies, Feline, Leukemia testing and immunization. 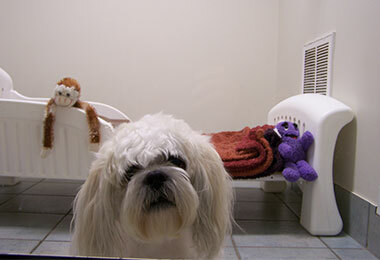 Please call ahead for all reservations to insure we have a room available for your pet. Make Holiday Reservations early, suites book fast. Call in advance to cancel. When you don't cancel your reservation, our computer system puts a "No-Show" warning in your file. After 2 warnings all reservations must be pre-paid. When the facility has no vacancies, we may call to confirm your reservation to make room for pets on a waiting list. Once confirmed, owners will be charged for any unoccupied days of confirmed reservations in the event of a cancelation or no-show. Boarding fees must be paid before pets are released unless other mutually agreeable arrangements have been made in advance. We accept cash, local personal check & travelers checks. Sorry we do not accept credit/debit cards at this time. Boarding charges begin on day of arrival. Pets checked out after 10:00 am will be charged for the day of departure. We provide a raised bed for your pets comfort, water & food bowls as well at no extra charge. Personal items may be brought from your home, treats and chews that you feed at home including small blanket(4x4) or towels to give your dog or cat a "piece of home".NO STUFFED BEDDING ALLOWED(INCLUDES COMFORTERS,FOAM FILLED BEDS ETC.) Toys may also be brought along but please ensure that they are not too valuable as they can go "missing in action". Please label all items with your last name. We provide a dry adult maintenance food. Canned wet food is also available.There is no charge for meals. If you would like to bring your own food because of a special diet, canned food, or upset tummies from switching foods etc. we will be happy to feed it. Meals are served in the morning and late-afternoon with a lunch also available. Fresh water is available to the dogs at all times. Special diets are not a problem as we have a fridge available at the resort. Please bring your own food in a labeled container with enough food for your pet's entire stay. Please inform us at check in of any dietary concerns you may have so we can make your pets stay as pleasant as possible with us. Our staff will inform you as to your pet's eating habits while staying here. We closely monitor your pet's food, water & elimination. We provide stainless bowls for all of our guests to insure a clean and sanitary eating environment. WE ARE TRAINED TO ADMINISTER INSULINE INJECTIONS, PILLS, EAR & EYE MEDS ECT. Please have medications in clearly marked containers with pet's name and dosage amount on each item. Please do not put them in with your pet's food. make sure liquid meds are in a spill-proof container with a tight closing lid. Medications are kept in a separate container for safety. We charge a minimal fee for administering medications cause we make sure they get their meds. 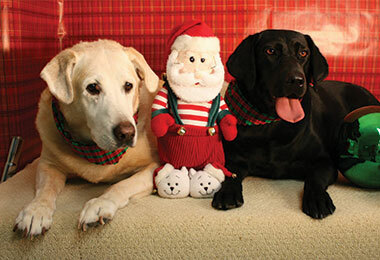 Beginning shortly after Thanksgiving, we offer holiday pictures while your pet(s) is being boarded or after grooming. Prints are available at pickup. We also do multiple pets in one sitting! Call to reserve an appointment!